Ten quiz questions relating to the Manchester, UK, band The Stone Roses. 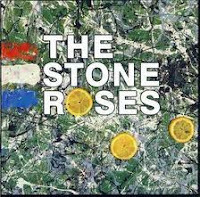 In which year did the band release their debut album, “The Stone Roses“? What band did John Squire form following the break-up of The Stone Roses? What was the first single to be released on Silvertone from the band’s debut album? “Second Coming“, the second studio album by The Stone Roses, was released through which record label? "I'm standing alone, I'm watching you all, I'm seeing you sinking" are lyrics from which song? Mani joined which band as bassist in 1996? In July 1990, the band released their final single for Silvertone, which reached number four in the UK singles chart. What was the song? The sound of running water was overlaid on which “Second Coming“ track? “Here It Comes” was the B-side on which 7” single release in 1989? “Second Coming“ was dedicated to the band's publicist, who died of cancer in 1993. What was his name?